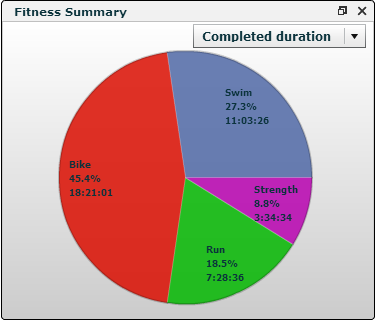 I am using TrainingPeaks for the last year. What an awesome tool!!!! Especially the TSS scoring. For the 1st couple of months I did not pay much attention to it. Then I saw in the Performance Dashboard the results and I started logging and monitoring my TSS more actively in the last couple of weeks. Its been good to see how my performance is increasing, but even better when I need to take a break. I would not say it kept me injury free, but it kept me training where I normally would have taken a day off under the disguise of recovery. I just did more and shifted my recovery further apart without any negative affect. I did 3 weeks of intense training and lifted my performance (blue line) well and kept a view on my Training Stress Score (Pink Line). Now its rest for two days and then a maintenance and tapering period starts. It is also good to see the balance in hours over the last 28 days. It probably would be better for me to increase the run part, but then again I focused mostly on my weak spots … swimming and unknown spots …. cycling. This is one thing I love about the sport. Not the race itself but also the preparation, training and in good-geek-form the collecting of data and trying to make sense of it. This entry was posted in Tips, Training Log and tagged biking, Geek, ironman, running, swimming, training, triathlon. Bookmark the permalink. swimming and unknown spots …. However, I am sure you are unbeatable (at least in triathlon). Can’t wait to see you back here. Roasted crickets are waiting.